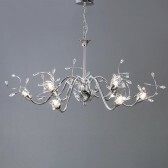 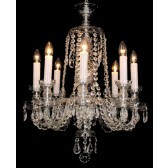 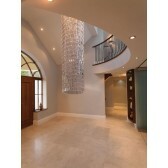 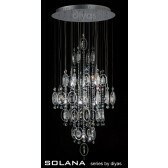 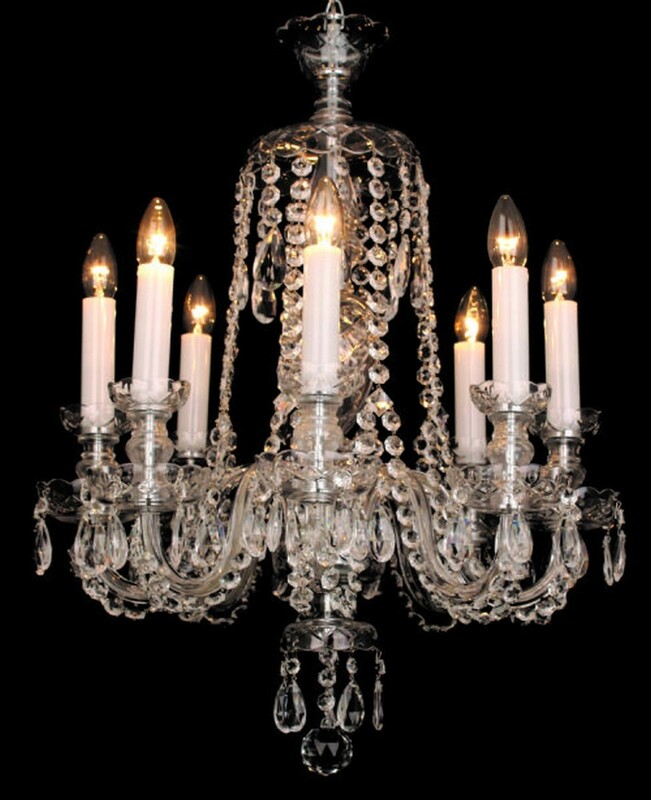 Georgian lead crystal 8 light chandelier a part of the Karvina range from the luxury collection by Franklite. 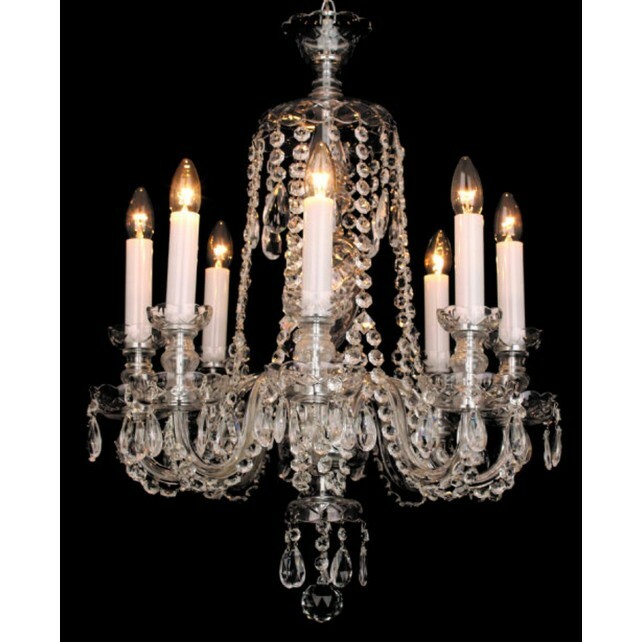 This complex design features a centre column dressed in beads of crystals, with additional crystal drop design from the arms of the chandelier. 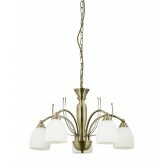 There are 8 arms in total, and the fitting is suspended from a chain. 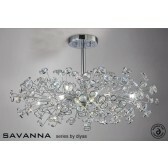 Showing a chrome fitting with biege transparent crystal glass. 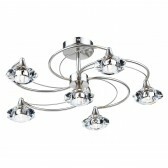 This design would look lovely as a centrepiece in your living room area, place it in almost any room of your choice. 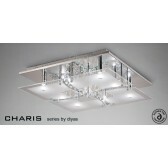 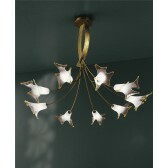 The decorative light is sure to make a statement in any room.